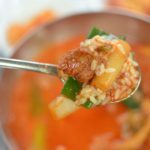 Although we’re nearing the dead heat of summer here in Seoul, that doesn’t stop my friends and coworkers from recommending some solid restaurants serving up spicy yet always delectable dishes. 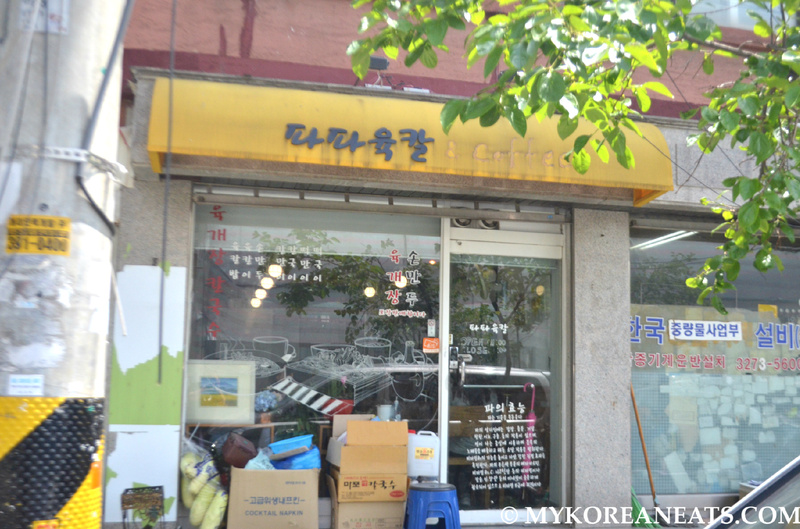 This next place situated near Sogang University’s front gate is no exception. 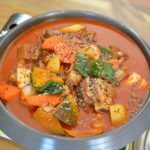 The husband-and-wife team at Papa Yook-kal 파파육칼 has been serving up a mean bowl of Yukgaejang 육개장 in their quaint restaurant of three years. 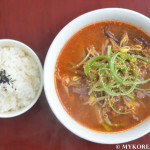 For those unfamiliar with Yukgaejang, it’s a spicy, invigorating soup made with shredded beef brisket, leeks (or scallions), bean sprouts, and the all-important ingredient that I can’t get enough of, gosari (bracken fiddleheads). 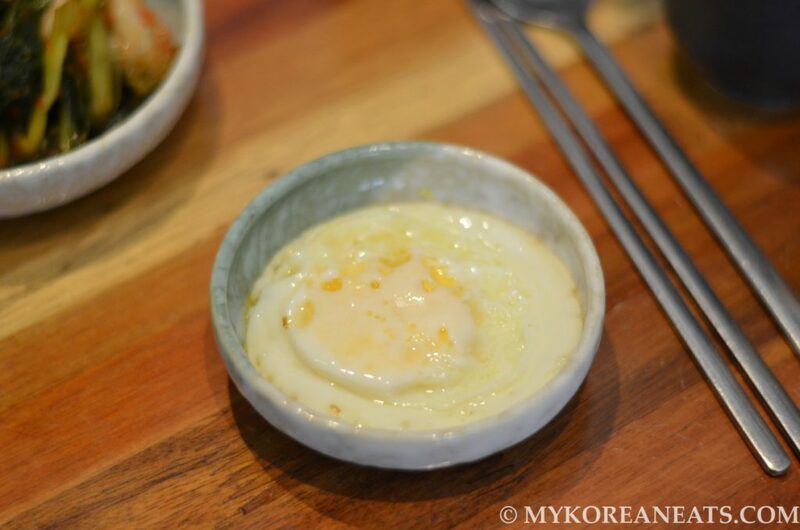 But what separates this place from others is a personal touch like their made-fresh-daily banchan varieties and a fried egg “appetizer” to, according to the owner, help aid in digestion. 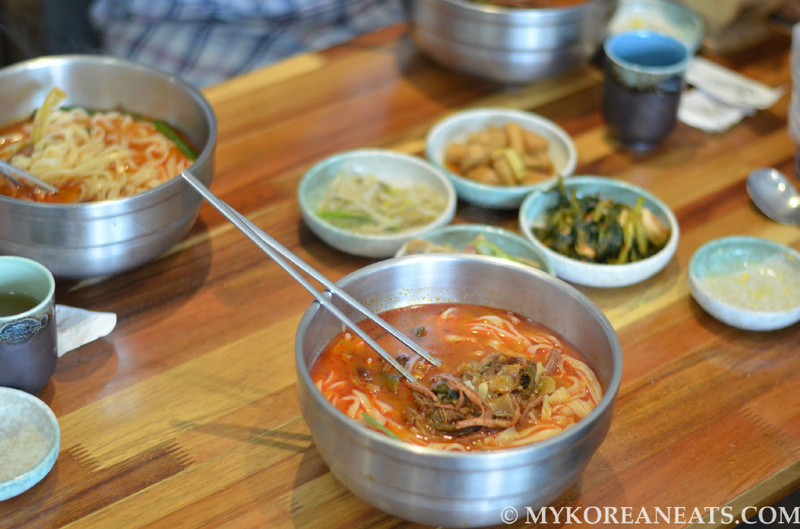 And if that wasn’t good enough, they go one step further to provide a delicious combination that has become a hit around this area: Yook-kalbap, a genius combination of Kalguksu noodles (handcut thick wheat flour noodles) + Yukgaejang + Bap (rice) for their signature dish. 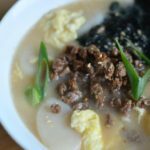 Although skeptical at first (which happens when you grow up eating this soup with plain rice), the noodles provided a welcoming yet contrasting texture when eaten with the stringy pieces of brisket, leeks, sprouts, and gosari. 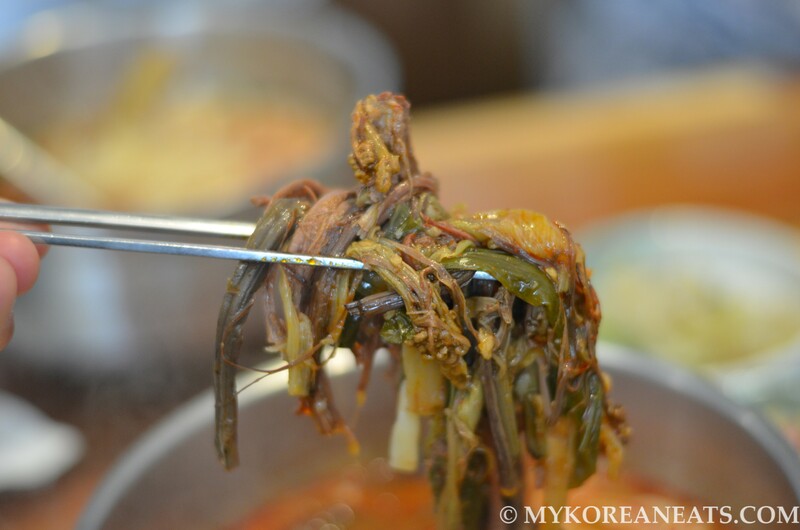 Sometimes you will find slippery dangmyeon (glass noodles) in some Yukgaejang establishments, but I much prefer the thicker noodles to provide an extra layer of deliciousness to the kundeogi 건더기 (meat n vegetables in soup). 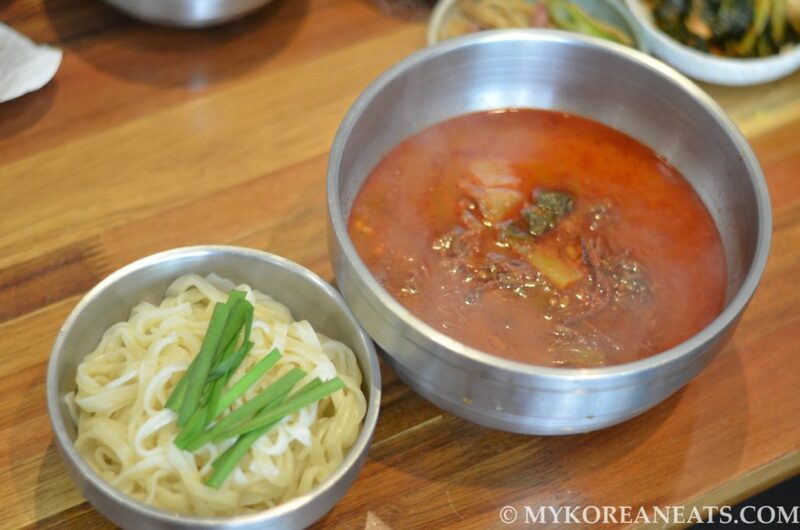 Regardless of what noodle is served, you can’t go wrong here because the base soup and ingredients are prepared in a homestyle manner that’s very hard to find in Seoul. Backstory: Luckily got to chat with the personable imo (“auntie”) who was manning the place alone when I visited with coworkers. 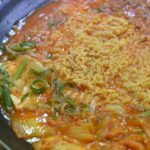 She explained that due to financial troubles at home and limited career options, she and her husband were certain about one thing only: her delicious homemade yukgaejang. That certainly paid off after opening shop despite being located in an area away from heavy foot traffic. 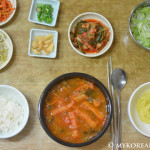 She prepares everything herself, starting early in the morning to develop the rich, beefy broth followed by the assortment of healthy banchan. 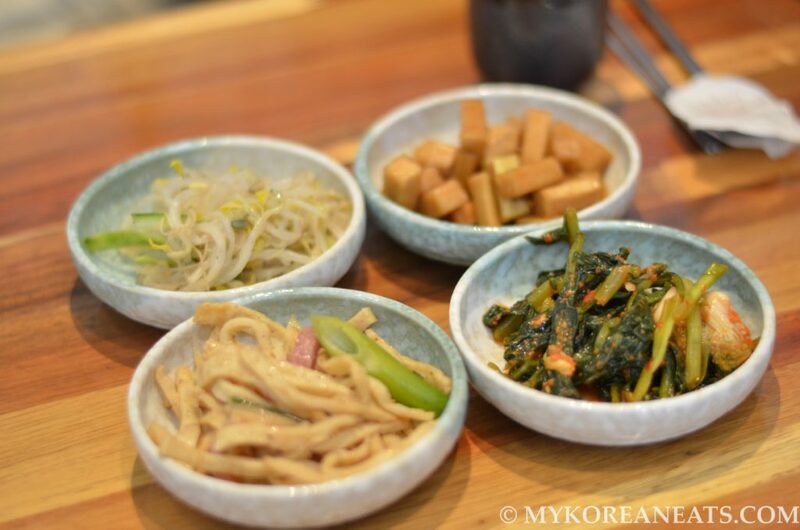 When asked about the name of the establishment (which I assumed meant the husband), she surprised me by saying it referred to an important but overlooked ingredient in Korean cooking: “pah” (green onion/scallion/leek). 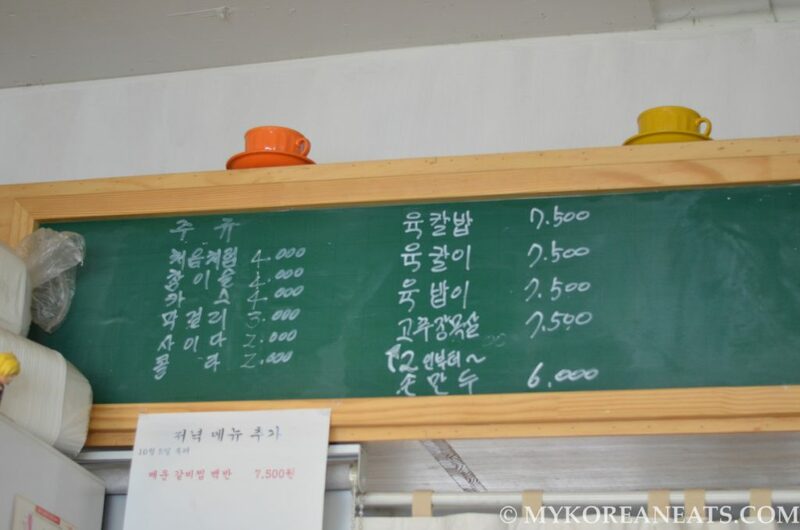 Full of nutrients and flavor, she even posted a large sign for all the customers to read. 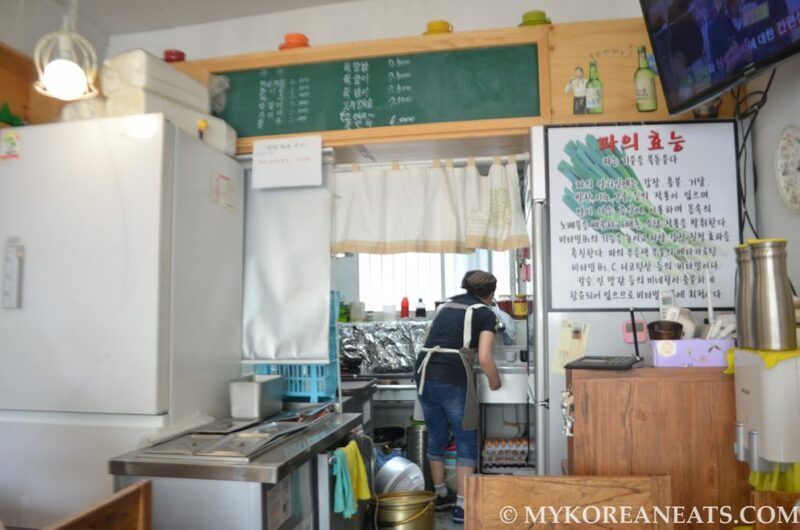 There was other information exchanged during our brief talk, but all that mattered at that point was my excitement in discovery a new restaurant near my work AND knowing I could get “homemade” food similar to my mom’s. 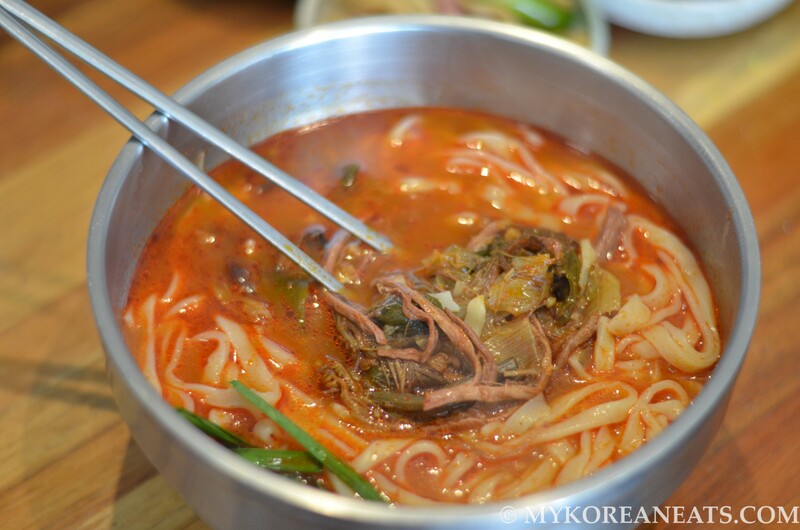 Big thank you to my coworker, Dakyeong, for another worthy recommendation. You are now 2 out of 4 on reviewable restaurant suggestions.